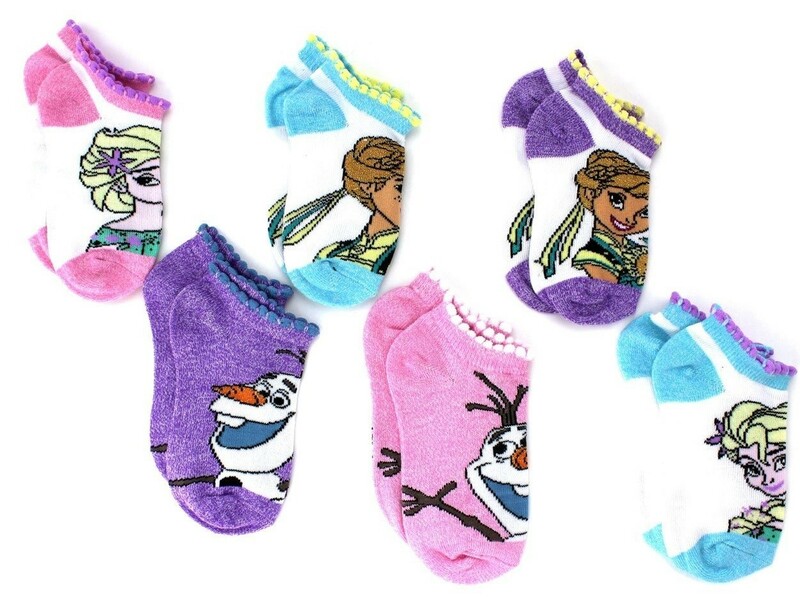 Your Mighty Girl will love wearing these cozy Frozen ankle socks! 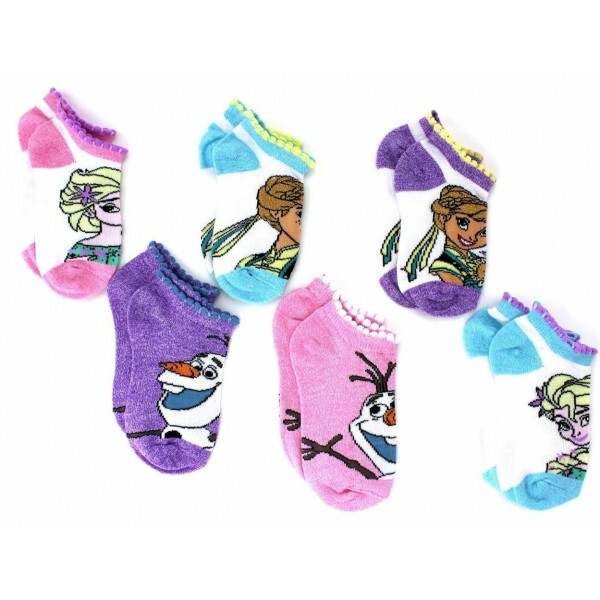 Six pairs in the set provide variety and excitement, with each pair featuring different colors and graphics of your favorite Frozen characters, Princess Anna and Queen Elsa! Available in size 6 - 8 (fits shoe sizes 10.5 - 2). For more products featuring characters from this hit movie, visit our Frozen Collection.